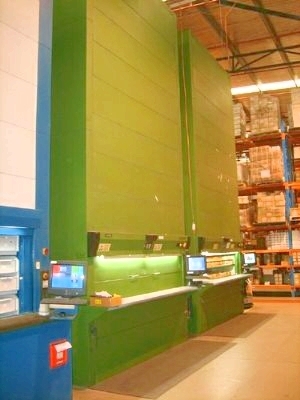 Vertical Carousel Machines are picking and storage systems that have shelves that rotate in either direction to bring the requested item to the operator at an ergonomic presentation level – in seconds. They allow you to use the maximum of the headroom available providing the best use of space within a very small footprint. 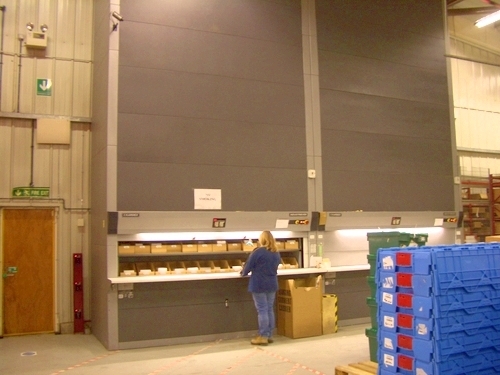 Vertical carousels are ideal for small to medium size parts and used in automotive, aerospace and many hi-tech industries where time and space are expensive commodities, making this “Live” storage solution a cost effective option. Contact HMF for advice and to discuss your requirements.